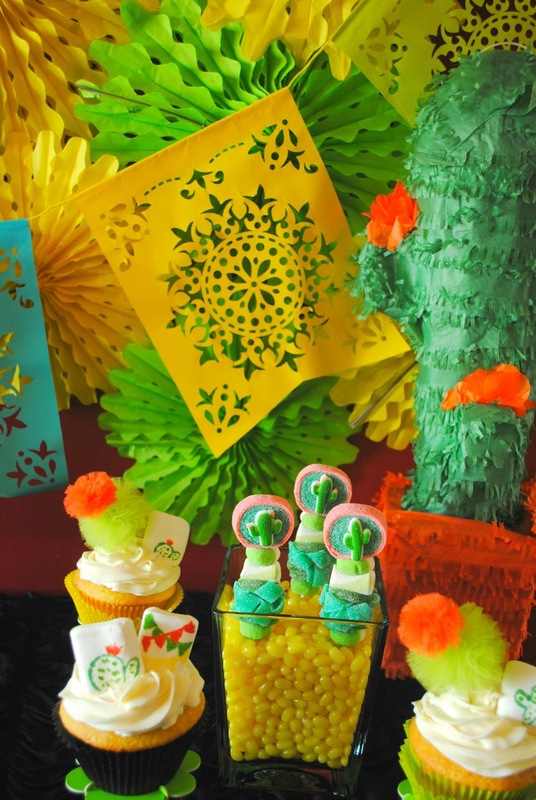 *I was given product from Oriental Trading in exchange for styling a party. 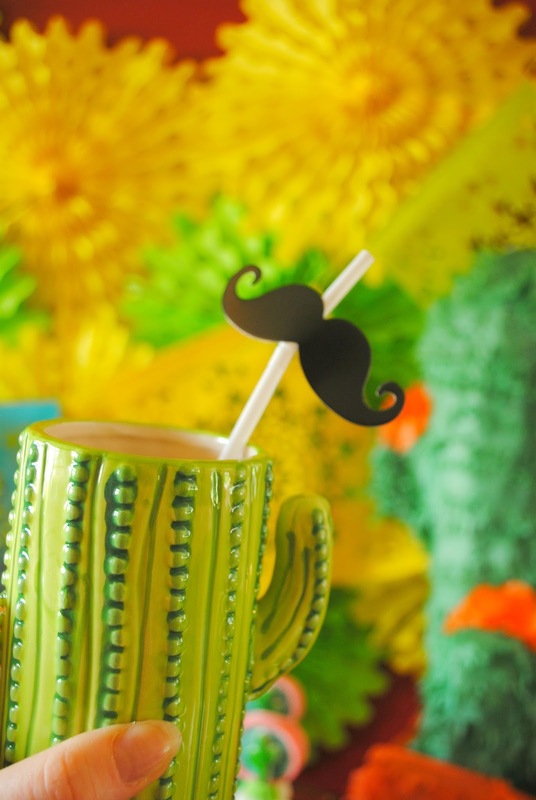 Cinco De Mayo is one party I look forward to every year. It's bright, fun and I love Mexican food. Guac on everything! As you can see I went for bright colors this year. 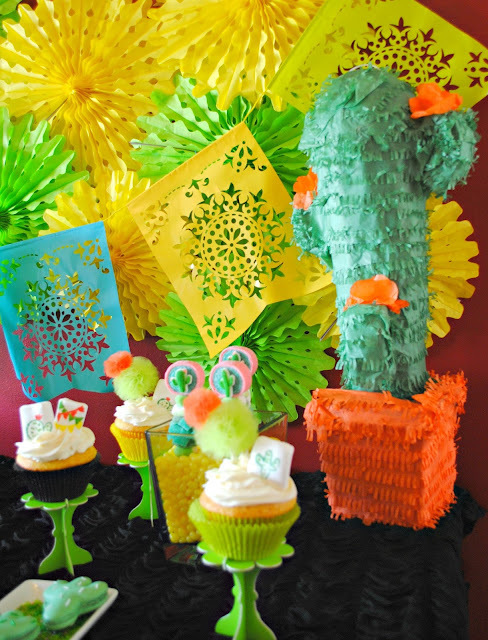 I created a popping yellow and green backdrop by using paper fans and a Del Sol banner. This backdrop is easy to set up and covers a lot of area. 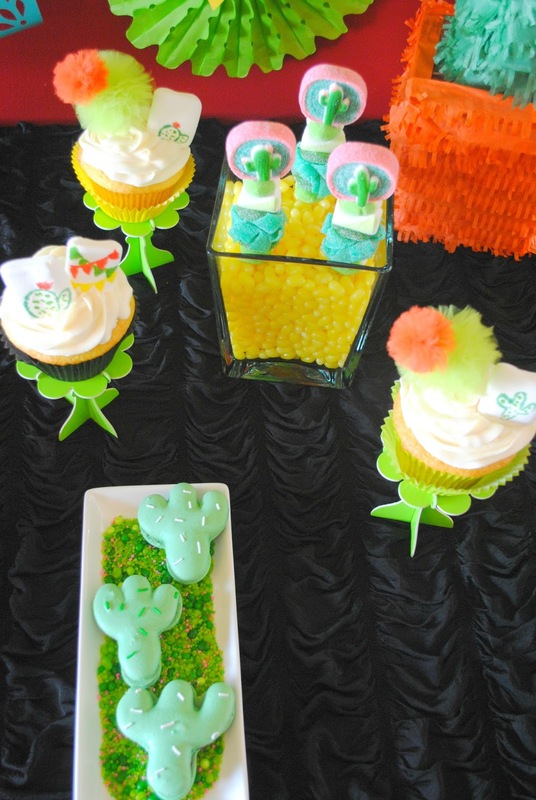 The black table linen allows the colors of the decor and desserts to really POP. I always like to offer a variety of desserts for my guests to choose from. 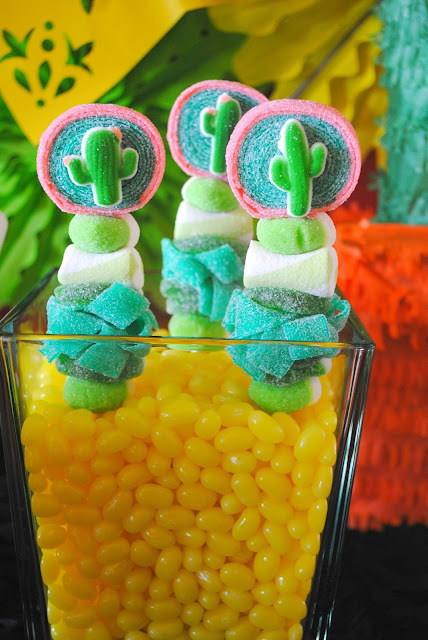 Candy kabobs by Sweets Indeed are nestled in pineapple Jelly Belly jelly beans. You better believe my guests dug into those jelly beans too. 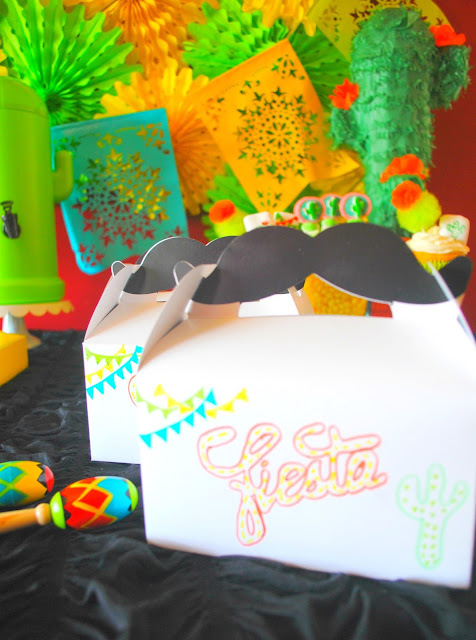 I made GIANT cupcakes for this fiesta. Why? 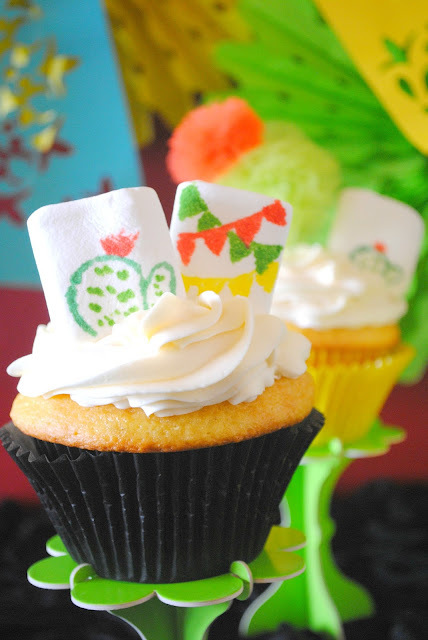 Because my fiend recently surprised me with a giant cupcake tin and liners and I wanted to use them. I took Kraft Jet-Puffed S'moreMallows and painted on them with food grade markers. I also may or may not have eaten a bunch while trying to decide what to draw on them. 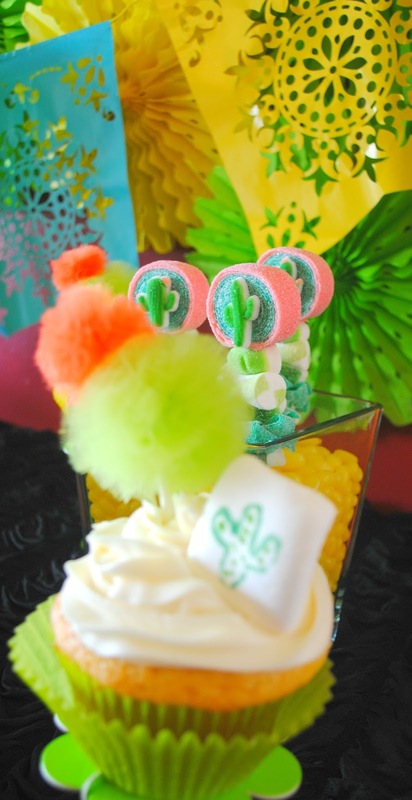 In addition to the S'moremallow toppers I created for the cupcakes I made cactus tulle poms. They turned out so cute. I'm thinking I need to get these in my shop. 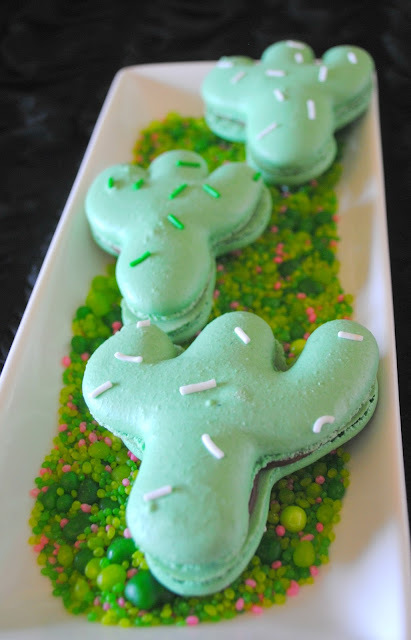 Sprinkle Made made some macarons in the shape of cacti for me that I laid on a bed of Candyfetti from Sweets Indeed. I love using Candyfetti as a bed for cookies. It shows off the cookies and comes in so many colors. 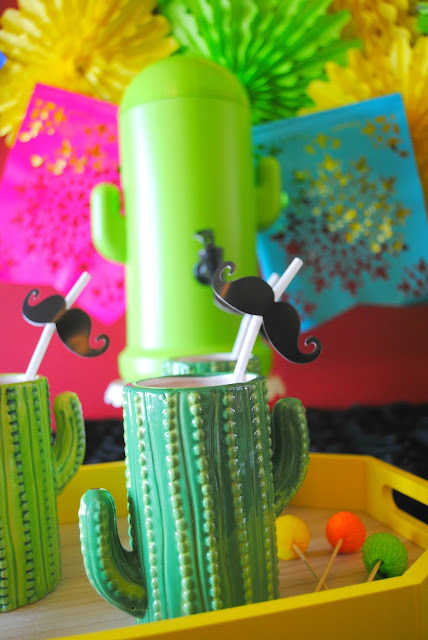 Oriental Trading has some fun cactus items perfect for Cinco De Mayo. This cactus drink dispenser was a must as soon as I saw it. How cute is it! 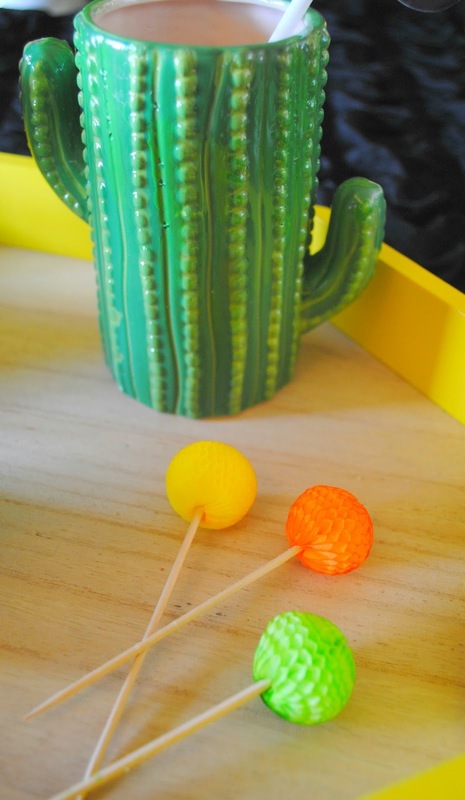 And those cactus drink cups are the best. They're not paper. They're ceramic. They're no joke. Does that tray look familiar? You got it, Target Dollar Spot. 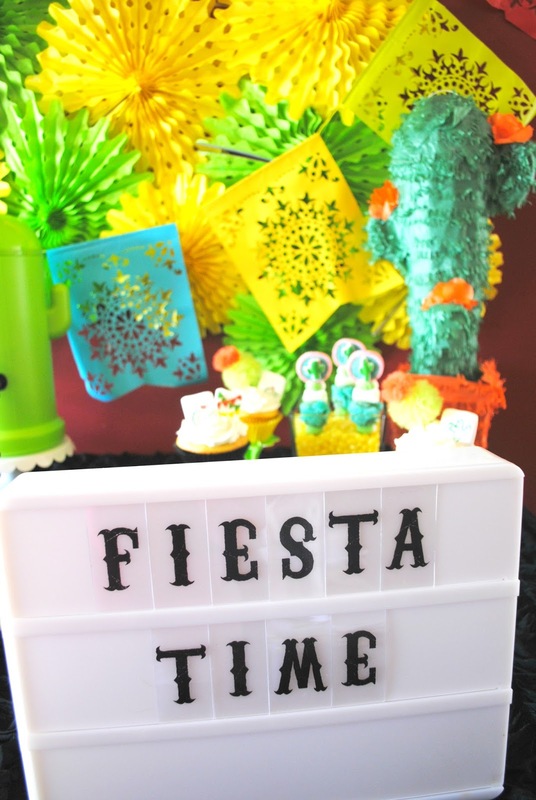 I picked it up to use for a tropical party and when I was setting up this Fiesta party I was like, OH, it would be perfect for this party too. 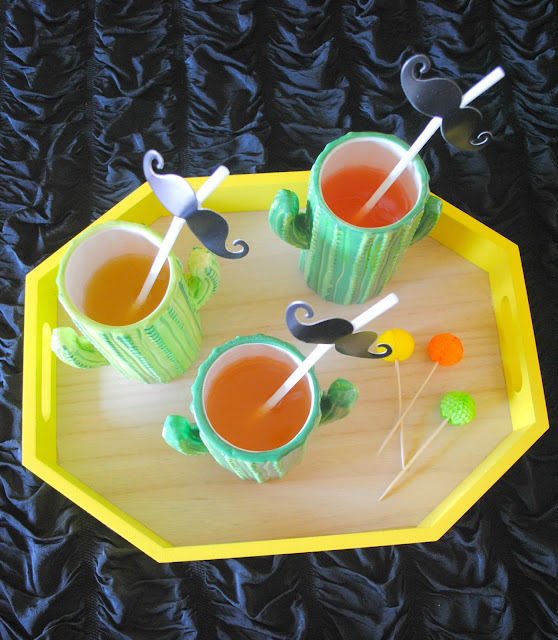 The bright yellow of the tray matches perfect with this party. 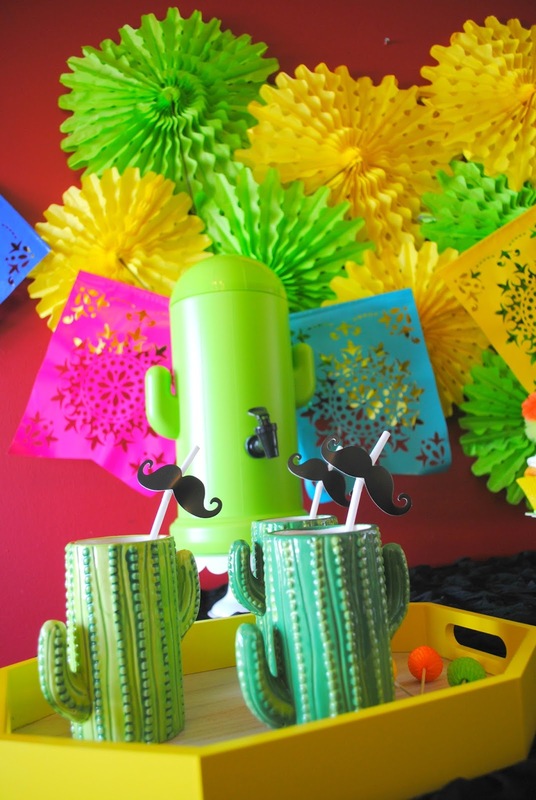 One thing you'll notice with my parties is that you'll see some of the same items. I believe in re-using items for my parties. !Salud! Here's to fiesta'ing with friends. No party is complete without party favors. 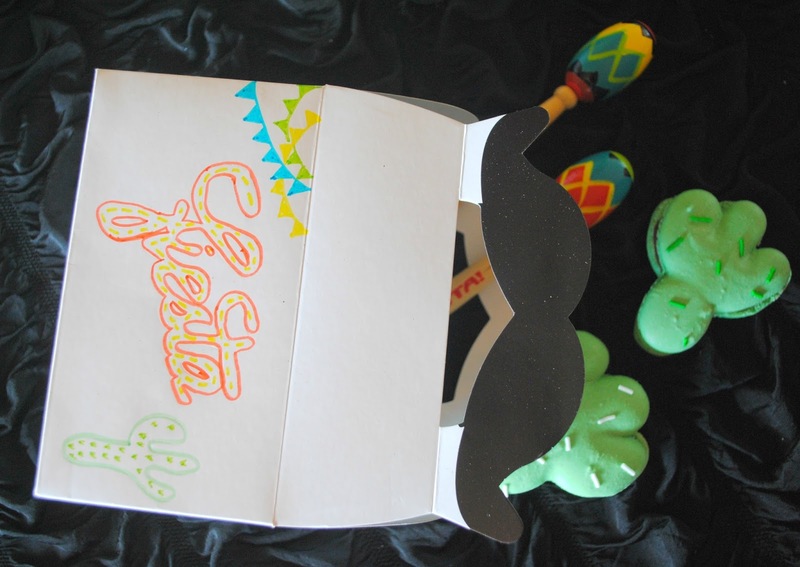 I took plain mustache boxes from Oriental Trading and added Fiesta, a cactus and banner to the box for some color and fun. Inside the party favor box were maraca pens and macaron's. I didn't fill up the boxes too much because I knew my friends would want to fill them up with treats to take home. ↓ Leave me a comment below and let me know what you think of this party. I'd love to hear if you'll be throwing a Cinco De Mayo party too. As stated at the beginning of this post, I was given product by Oriental Trading in exchange for throwing this party. RIGHT! And a grey start to May it was. Our yard was a sponge from all the April showers.